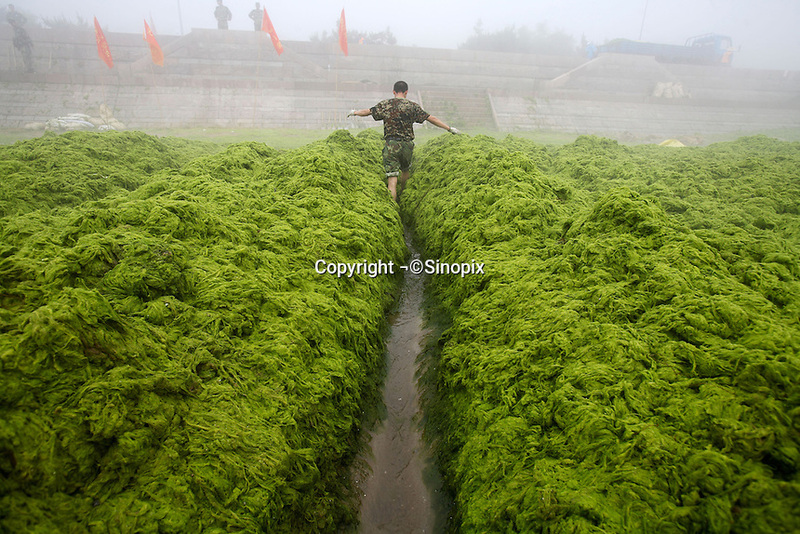 Chinese People's Liberation Army soldiers work to remove blue green algae off of a beach in Qingdao, China. The massive algal bloom is due to the pollution that has been swept down from the mainland in the recent heavy rain in the bobai sea. Qingdao is where the Olympic sailing events will be held and it will be race against time to clear the sea area in time for the Olympics which start in 40 days..03 July 2008.